Simply raise a minimum of $1500 in pledges and rappel down one of Denver’s most prominent skyscrapers. Whether you are an accomplished climber or a first time rappeller whose only use of a carabiner is as a keychain, this event is a thrill of a lifetime. 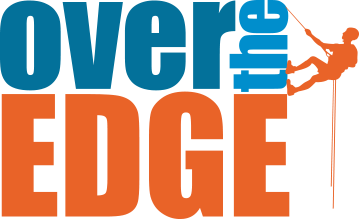 An exclusive event for Cancer League of Colorado, Over the Edge gives participants a life-changing opportunity to rappel 38 stories while raising money for Colorado based cancer research. Unique to non-profits, Cancer League of Colorado has no paid staff and no offices. All operating expenses are covered by membership dues and our volunteer staff. Cancer League of Colorado now has more than 400 volunteer members who share the commitment to fight cancer and support cancer research. 100% of all donations go directly to cancer research and cancer patient services in the state of Colorado. Since 1985, Cancer League has donated over $15 million in grants toward cancer research and services. Help our rappellers reach their $1,500 mark--sponsor a rappeller now. To secure your spot to rappel down a Denver skyscraper, click here to register. Act now, for space is limited! Participants must raise a minimum of $1,500 for this thrilling opportunity. All monies raised by Over the Edge rappellers go to fund cancer research and support service grants for patients here in Colorado.